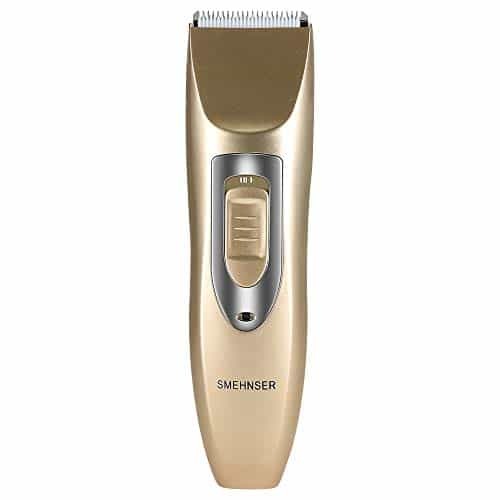 This professional hair clipper is perfect for all your beauty needs. 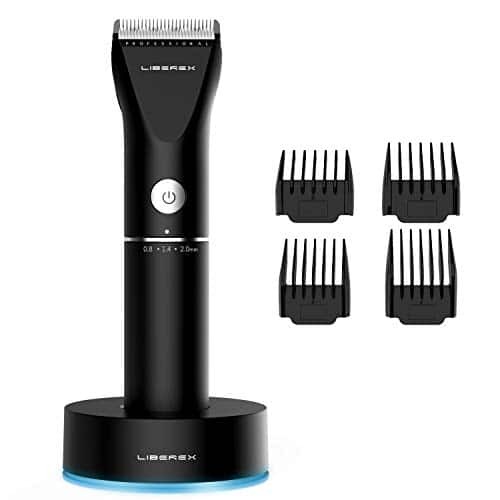 The lithium battery provides up to 60 minutes of wireless run time and is driven from titanium caramic cutter blades to provide precise and comfortable trim. Convenient one-button switch providing a smooth, quick, and precise performance on hair. Great gift to kids, parents and friends. Caramic cutter head: Stainless steel moving blade and titan-plated stationary blade. Professional titanium caramic cutter head, high precision and easy to disassemble and clean. Sharp blade and powerful motor, can trim your hair fast, no hair get stuck and no hurt to your skin. Efficient and durable cutting head is free from rust. Long lasting rechargeable battery: The lithium battery provides 60 minutes of working time after 3 hours of full charge and is supported by an adapter. Cordless design allows to be used anytime, anywhere. And it can be used while plugged in if the charge should run out. Rechargeable and coldless use, both of mathod can be work perfectly. Noise reduction: Noise level lower than 50db, there is no ear-piercing sound, nor disturbing others during operation, providing you an unprecedented experience, and together with the intelligent working system, it will be quite, safe and confortable. New limit comb equipment: Including four guide combs for trimming at 3, 6, 9 and 12 mm lengths, so you can choose the exact length of the beard you want and easily retouch to different lengths on different parts of your face. We hope they can meet your various demands and help you trim easier and more accurate. Super nice design: It’s ergonomic and elegant shape makes it particularly handy. Light touch switch, high stability design, use conveniently. 100-240V universal voltage and easy to carry, can be used in travel. Perfect for men, women, also for kids, the elderly, professional barber, and etc. May you used a razor or scorpion for hair removal, endure your pain but probably scratch the skin which it’s harmful to your skin and even triggering dermatitis! 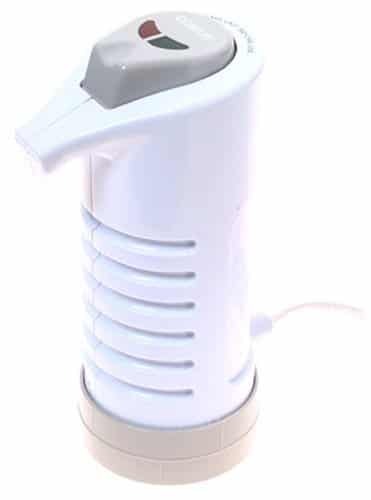 Our wax heater for man and women, supports a wide range of temperatures ranging from 160℉（MED） to 240℉(HI) and can be used with all kinds of hard waxes. for the beginner use, adjust the dial to “HI” stay about 10mins, then switch it back to “MED” waiting about 15 mins until it cool down which matched with your skin. Looking for a smooth and silky and hair-free skin? Here is the ideal bikini waxing kit for that perfect hair waxing. This Brazilian waxing kit for women comes with all that you will need for a professional salon style body wax and hair removal. 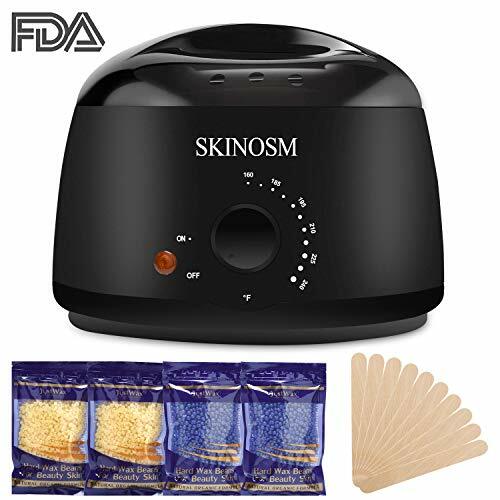 It is an ideal solution for waxing and comes with its own bikini wax warmer and hair wax beans. It is also a perfect hair removal waxing kit for men. 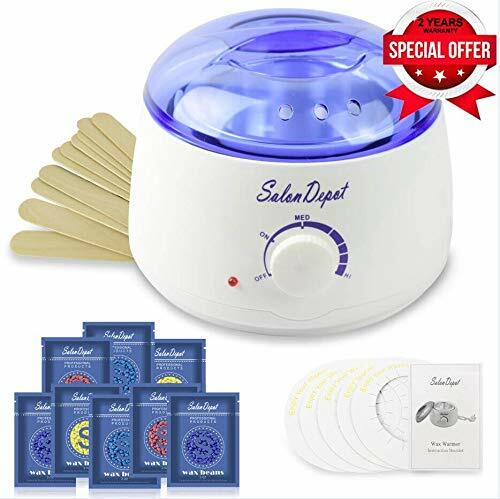 Show off those stunning abs and body to perfection with this easy to use hot wax warmer kit. The hard wax kit comes with five packs of hard wax beans, each of which with a different color and a pleasant smell. Pour the desired color of hair removal wax into the warmer, as the hard wax melts, it slowly becomes liquid. The melted wax can then be applied on to the body with the provided applicator stick – no need for any paper or cloth strips, the wax can be peeled off removing the hair. The wax used in the hair waxing kit is completely safe for the skin and non-toxic. The electric wax machine included in the home waxing kit is built to professional standards. With a capacity of 500 CC, hot wax kit for women is ideal for waxing large areas at a time. 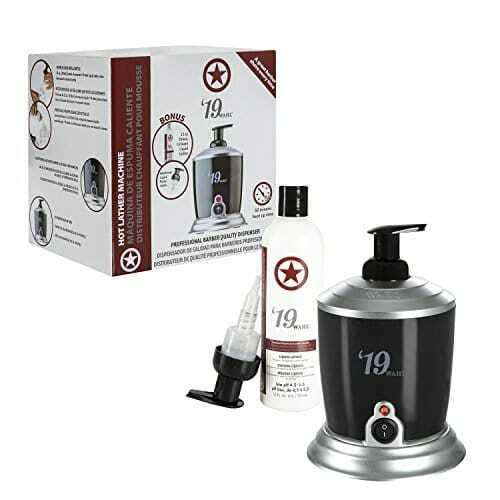 Its temperature control allows you to adjust the temperature for the perfect hair wax melts. 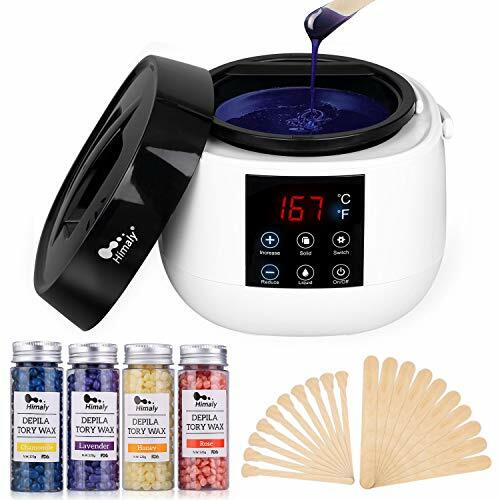 Quick heating coil and the aluminum container included in the hard wax warmer set ensure quick and even temperature for the perfect hot wax for women every time. Do you want to quickly clean up your face in the limited time in the morning and get a fresh look? Are you struggling to find a professional quality razor? Do you still find a wonderful gift for your father or boyfriend? This is the right one! Just 2 minutes, return you a clean face and good mood all the day. Homeasy aims to offer you an easy and trendy shave at an affordable price. 4-direction Flex Heads, combined with a Close Cut Blade System, guarantee a smooth and close result while protecting your skin. Our razor has a travel lock feature that you can lock before traveling with a razor. The travel lock prevents the razor from being accidentally opened. HOW TO USE: Press and hold the On/Off button for 3 seconds to enter the travel lock mode. The lock symbol will light on the display. To unlock the travel lock: Press the On/Off button for 3 seconds. When the motor starts running, the travel lock is released. Now you can start using the shaver again. Two years warranty. We provide a 2 years full warranty to cover any issues, just contact us if any problems and we will offer 100% satisfaction solution for you. 【Quick Charge & Long Use Time】2-hour full charge for almost 2-month use (120 minutes shaving time). 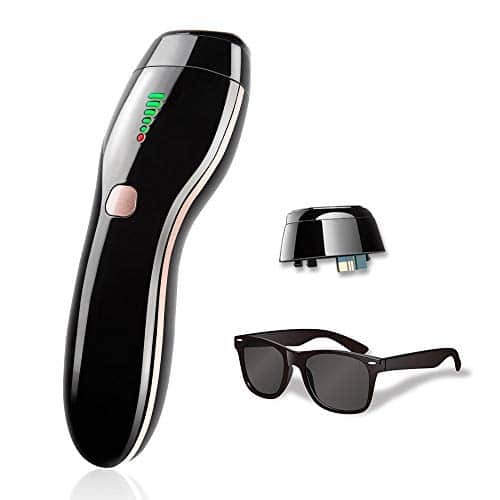 This electric razor takes only 2 minutes to complete an efficient shaving, saving time for your daily life. 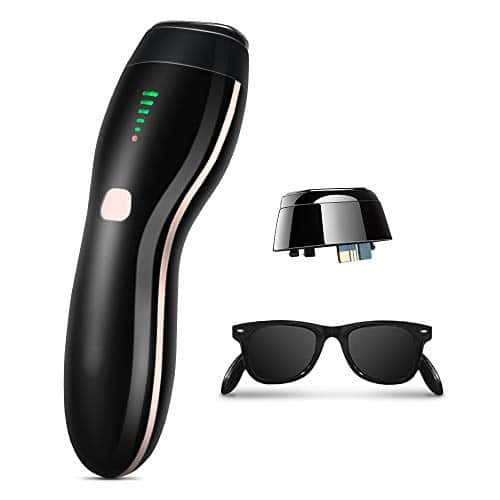 【4 in 1- Smooth and Close Shave】Homeasy 4-in-1 electric shaver for shaving beard, sideburns, nose trimmer, and cleaning your face.One kit fits all! 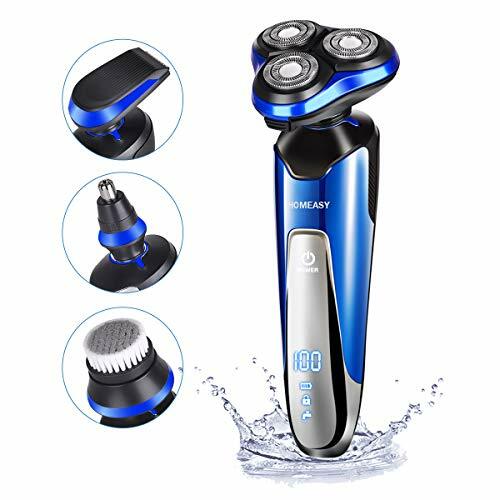 High-speed motor makes shaving quick and comfortable, a good day start with a clean and fresh face! 【Wet & Dry】With IPX6 waterproof function,you can do a convenient dry shaving or refreshing wet shaving. Enjoy your dry shaving when sitting on sofa, or do a soft and comfortable shaving in shower! 【LED Digital Display】The LED Display reminds you about the battery capacity, charging status, cleaning required status, travel lock. It shows you the residual electricity remain from 0%-100%. When the battery is almost empty, the battery symbol starts to flash. Travel lock indicator will light up when it is locked for safety.